If you live in Florida, there has never been a better time to consider solar. Advancements in solar technology have made generating energy from the sun more affordable, and advancements in battery technologies are giving customers greater energy independence and less reliance on their local utility. We’re happy to announce that, throughout Florida, Mimeos’ home solar energy system can now be paired with industry leading solar battery storage providers Sonnen or Tesla. This gives Mimeos Energy customers the premier choice when it comes to which home battery system will best meet their energy usage and storage needs. While the grid still plays a supportive role, more homeowners are requesting solar-plus-storage so they can have more control over their electricity use and independence during outages induced by hurricanes, or other causes. Solar storage batteries work by taking that excess electricity and storing it. The stored solar energy can be used to complement power from the grid at night or to power essential appliances during a power outage. Lithium ion is the lead technology for batteries. We use these in our electric cars, mobile phones, and of course home storage batteries. These larger system batteries usually come in a rectangular white box that’s about 4- to 5-feet high, 6 inches to a foot deep and about 2 feet wide. They are mounted in an out-of-the-way spot, such as a utility room or in the garage. The bigger the battery, the more power that can be stored. Any excess left over after the battery is charged flows back to the utility. Keep in mind that most solar homeowners won’t need a storage battery. Usually the power generated by a properly sized home solar system is enough to meet a family’s electricity needs, with net metering covering any electricity used from the grid in the evening or on cloudy days. While power outages do not routinely impact many households, a home battery can provide you with greater peace of mind, and it’s a clean, quiet alternative to a noisy generator. But do keep in mind that if the power does go out, a home battery is designed to keep only essential appliances up and running — not every light or piece of electrical equipment used in the house. To see if a home battery makes sense for you, visit our new solar-plus-storage savings calculator — the most advanced online tool of its kind in the industry — to estimate how many solar panels you’ll need based on your energy usage. The calculator also helps homeowners understand how to design their solar system with a battery and how to adjust their system size if they own an electric vehicle. 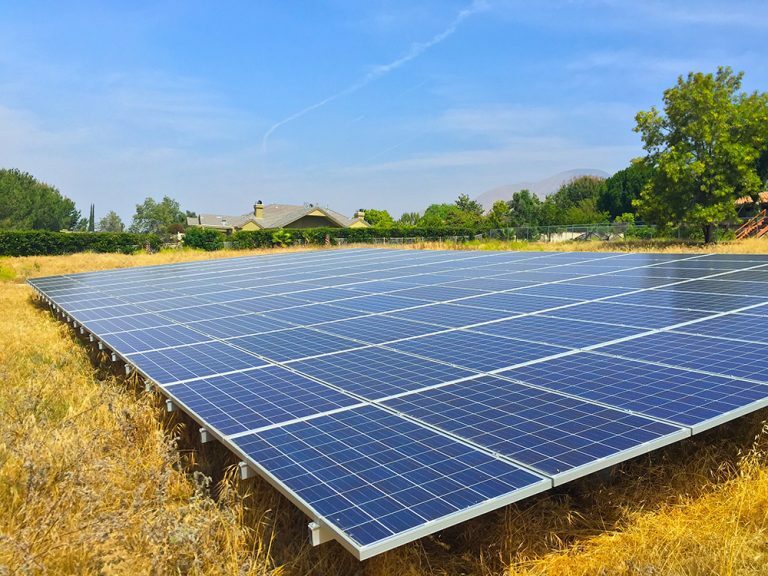 If you want to purchase a solar system with storage or if you want to add a battery to a recently purchased Equinox system, you can offset 30 percent of your costs by applying the federal Investment Tax Credit. Customers in California and Massachusetts can qualify for additional incentives that can dramatically lower the cost of a battery. But don’t delay. Starting in 2020, the ITC will be reduced to 26 percent and lower in future years.